Lift and slide doors add space to any floor plan, openness to a room, and create a smooth transition from the indoor to outdoors. Essential to modernized living, the lift and slide door system gives a clear view to the exterior of your home, while adding an abundance of light to your space. 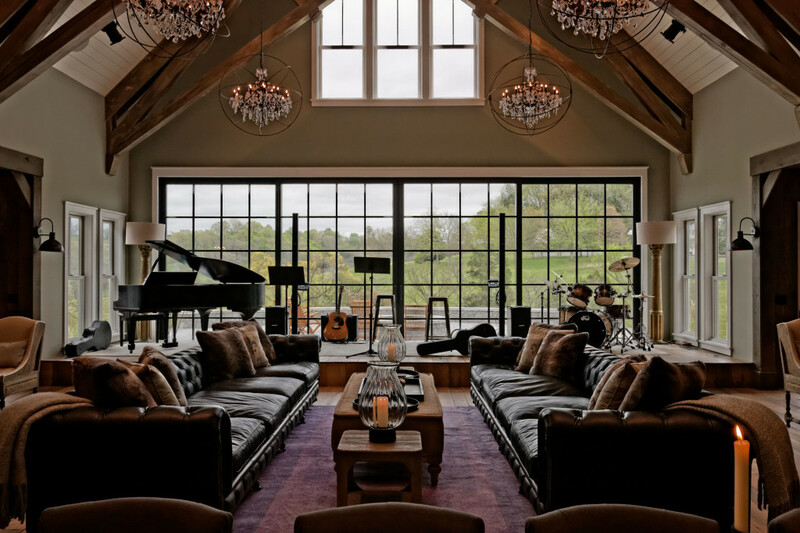 This project, in a Virginia home, features the EBE 65 system. Utilizing ¾” sloped simulated divided muntins we were able to achieve a more traditional look while still providing the large opening the client desired. Utilizing our thermally broken profiles, this guarantees the highest performance requirements providing maximum comfort, acoustic insulation, resistance to weather, and minimal maintenance. The powder-coated steel finish adds a classic touch to this stunning Virginia residence. We utilize a vast variety of RAL colors as a standard selection for all of our products. Our multi stage powder coating process offers a high quality durable finish. This finish can easily be matched to any of your color needs. When designing your home, remember all of the attributes and benefits of the lift and slide door. They add openness to a room, create more light throughout the space, and establish a connection with nature all while providing easy access to the exterior home.